When I think oysters Wright brothers spring to my mind, and when I saw them tweeting a deal on toptable spotlight daily deals I was ecstatic. For £20 I receive a gift certificate to dine for £40, I knew the first person to call was my friend Kim. I had the day planned, afternoon tea at Fika after that my friend wanted to get her hair dyed. I initially booked for 6pm, but later changed it to 5:30pm. On arrival we were seated near to windows overseeing Kingly court. The interior reminded me a little of the Mussel men pop up I went to wheel barrows and ship theme, candles lighting up the room. We were served bread and butter this was the least favourite of the night. 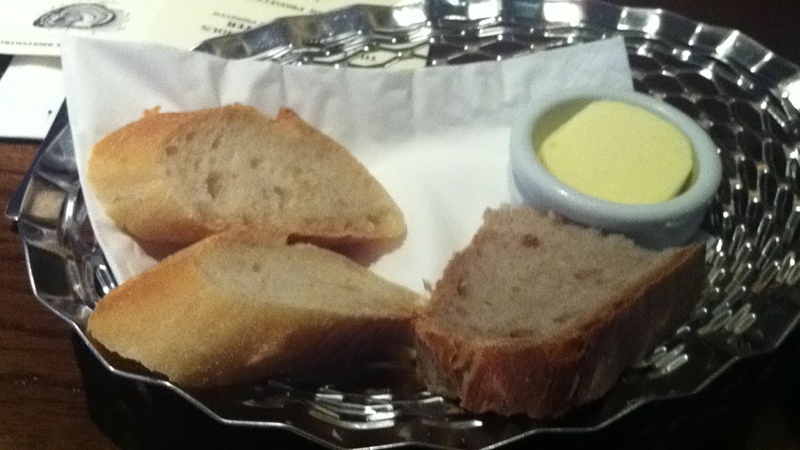 The bread tasted stale and the butter was too chilled to spread evenly onto the bread. 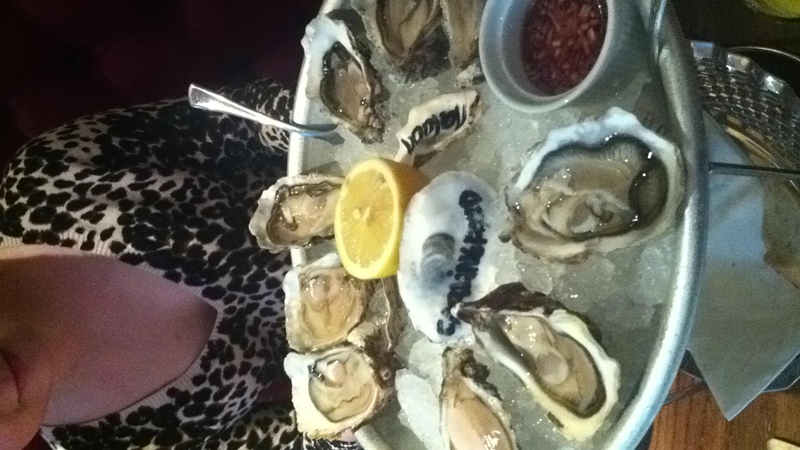 We knew exactly what we wanted the OYSTERS, well we did consider going for all 5 but that would have cost us nearly £30. Wisely I choose Speciale de Claire, Carlingford Lough and Maldon. I glad I pick different countries oysters you can really taste the difference in the seawater, Maldon I usually have at Oyster stalls which had the familiar salty taste. The Speciale was very light and sweet and carlingford had a similar salty taste to the Maldon. Another starter we ordered was the Prawn cocktail; it was our favourite dish of the night. 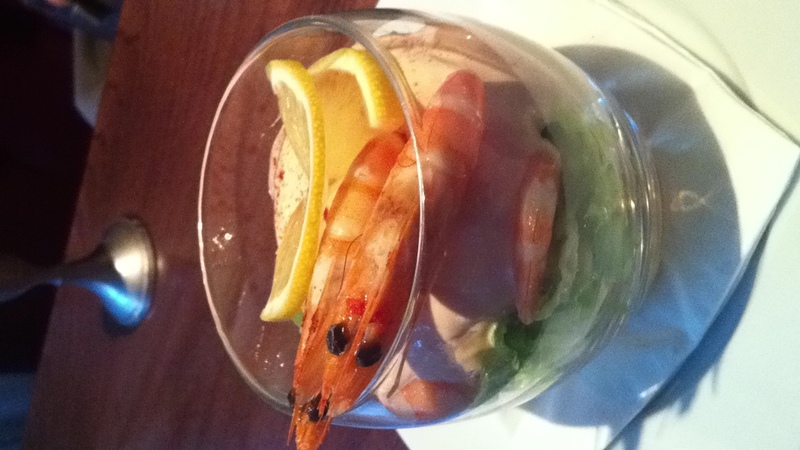 The sauce was tangy and creamy and the Atlantic prawns were fresh and juicy. The avocado and lettuce was packed full of flavour. 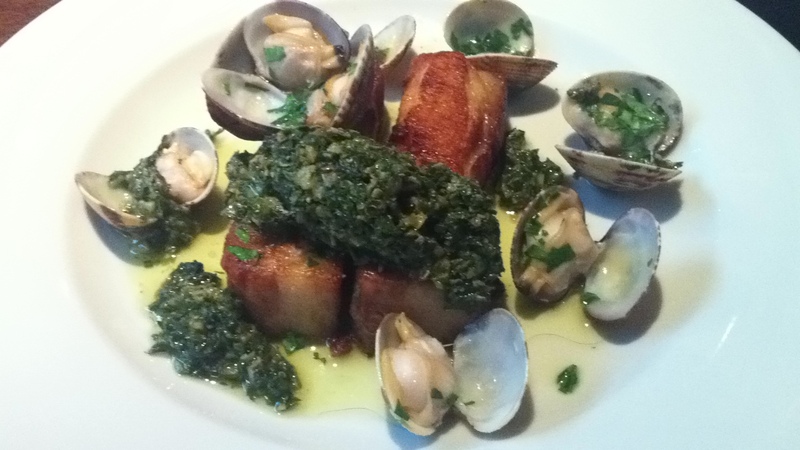 Our final dish was Braised Pork belly with clams & salsa verde, the pork belly was cooked to perfection and had just the right amount of seasoning but it was the clams that won me over with this dish. The clam was very fresh and each one tasted different, even without seasoning this was delicious. 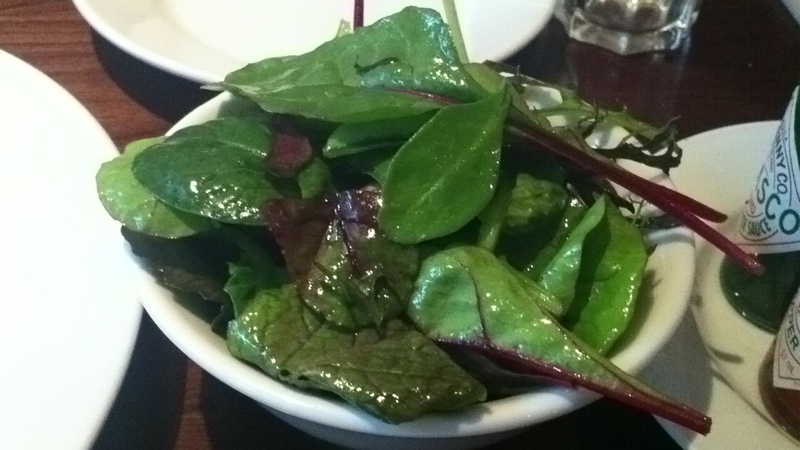 As a side we chose green salad the leaves were vibrant in colour and the balsamic vinegar worked great with the rocket leaves. Overall we really enjoyed our meal the food and drinks came to a total of £48 something the ingredients used are very fresh and I would love to try the other 2 oysters next time. The staff are very attentive and will come and talk to you every 10 mins.